When it comes to taking care of delicate skin we really understand what can happen when the smallest crack appears in eczema. 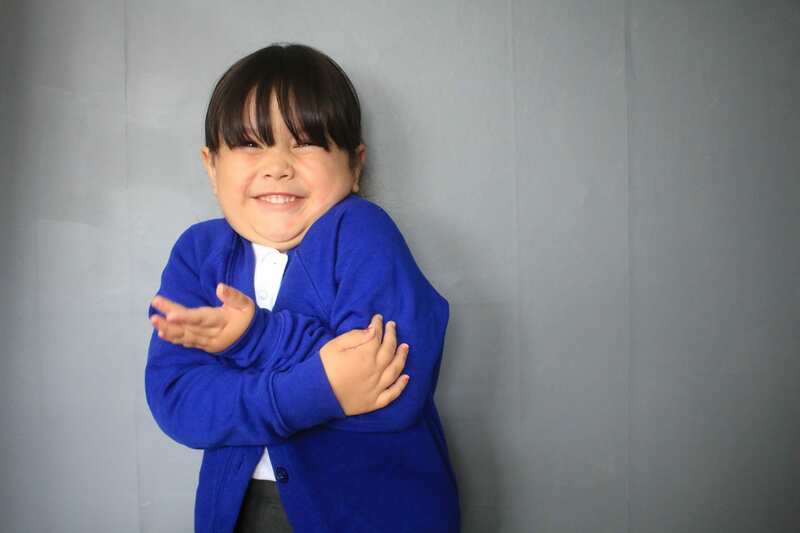 Last year we ended up with Ivy needed some serious care when she got a bacterial infection because of her eczema. All the girls have had skin prone to splitting and cracking in the winter, and we need to use something thick and hard working. Suffice to say we have used almost every cream on the market, and there are only a few we find work. Some have helped, others have hindered but overall it’s the heavy duty stuff that we rely on as a family. Recently my eldest daughter has started secondary school. New dress trousers, coupled with some frosty mornings caused behind her knees to split and become painful. We tried something a bit thinner to add moisture into the skin, but it just didn’t work for her at all. Coincidentally, and very luckily more Eucerin Aquaphor arrived and we applied it to the backs of her knees. Nothing works immediately, which I think is important to know with any cream. A formula this thick gives you protection first and lets the skin heal while protected. However, she did note an improvement in a few days. It provided enough of a barrier to let her skin heal. Fortuitous timing, as she started swimming lessons two weeks after. Which can cause many skin problems, so far she’s been fine. When it comes to Ivy though she has a very specific skincare regimen. Normal Day: Cream on thickening patches of eczema, lotion all over. Before she gets dressed, a thicker protective barrier cream, in this case, Aquaphor, is applied to backs of knees, knees, wrists, and any patches that may crack or flake during the cold months. Bath Day: 10-minute warm salt bath, pat down till almost dry, slather in lotion within three minutes, then wrap the skin if needed. 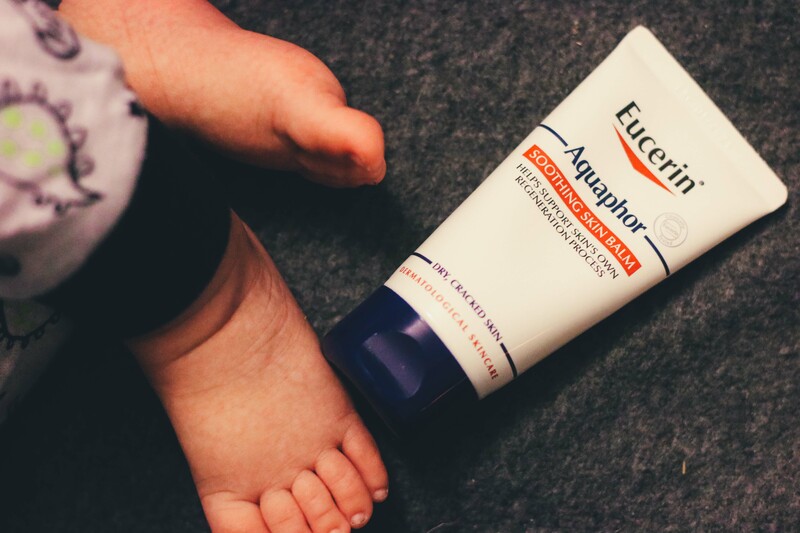 So, while Eucerin is great for helping with chapped hands, or cracked heels, it actually saves my little girl a lot of upset and pain – and you can’t put a price on that. Why did nobody tell me? A review.